Join me in welcoming author Victoria Lynn to Once Upon an Ordinary! The game is on! Thanks Kate! I am excited! Thank you so much for hosting me and I look forward to answering your questions! Victoria, tell us a bit about yourself. I am a Christian, Homeschool Graduate who loves my family and my Savior. I live at home with my family and enjoy working and playing with them. Washing dishes is my favorite chore, I am a bit of a neat freak, a HUGE music aficionado and a musician. I love to read (of course) and you can keep up with my favorite books on Goodreads. Blogging is my other love and you can keep up with me at Ruffles and Grace. I am also a seamstress, which is another of my passions. You can see the things I sell on my Etsy shop. 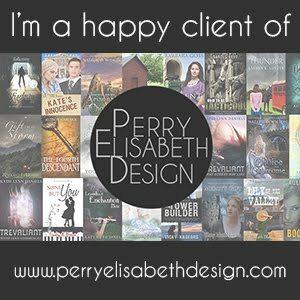 I also am a bit of a graphic designer, mostly specializing in book covers and promotional material. And here is my author site. I have always loved to write, but in the spring and summer of 2015, I really got inspired by my friend Julia Erickson. Seeing her publish her books made me think that maybe I could do that too! So after a little bit of work on other projects, I got the big main idea for London in the Dark and started writing right away! Congratulations on your debut London in the Dark! May we have an introduction? Certainly! London in the Dark has a little bit of mystery, a little bit of suspense, and is a Christian Fiction book. It takes place in 1910 London England and is about Private Detective Cyril Hartwell and his sister Olivia. A lot of things change in their lives in the first few chapters and the rest of the book is about them grappling with the issues of themselves and their relationships with others, all while trying to solve the largest run of thefts in recent history! My favorite aspect of my “ordinary” life is that I get to be with my family. I live at home, work at home, and find my best friends at home. I feel so blessed to be able to serve God and others as a family and to work together. We have our moments, just like every family, but we really love each other and I feel so blessed to be doing life with these people! You are welcome! Thank you so much for having me! I feel so honored and you had some fabulous questions! Follow the rest of the tour at Ruffles and Grace! This looks so awesome!! I want to read it! !